This is Sharad's hand on the day of Rakhi. 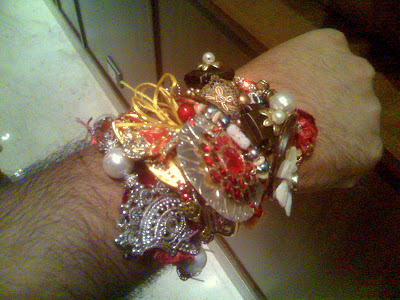 Sharad I challenge you cannot tell which Rakhi was tied by whom. yah yah, now toh all will be sisters only na.